Whether you have apple sauce, coffee, or truffled salt, the oval shape helps bring out the warm and fuzzy side of your product. Aesthetics aside, if you already have oval containers for them, or blocky containers that need a softer finishing touch, how do you wrap them up with anything less than the right oval shape and size? 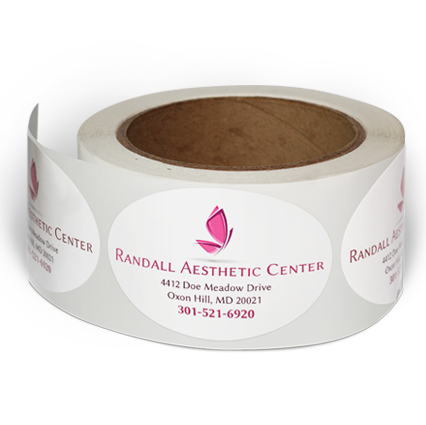 Choose the best material and the right size for your oval labels so they come out perfect. Upload your own design or customize with our in-browser design tool to make your product packaging look just right!